Relax in the perfect vacation rental, our family's historic, four-bedroom farm house, peacefully set on 11 acres in the beautiful Gallatin Valley. 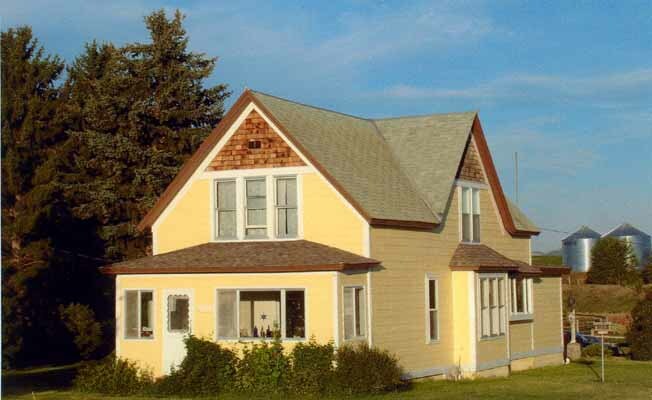 An Editor's Pick in the May 2010 Travel Issue of Sunset Magazine, Our Farm House is just six miles southwest of Bozeman, home of Montana State University and Museum of the Rockies. Our Farm House vacation home rests in a magnificent rural setting with room to roam. Completely furnished country home with many amenities and rural charm. Accommodates up to six guests. Boasting a panoramic view of the surrounding mountains, Our Farm House is centrally located in Yellowstone Country for blue ribbon trout fishing, kayaking and float trips in the Gallatin, Madison and Yellowstone Rivers. Easy access to Big Sky, Moonlight Basin and Bridger Ski Resorts. A gorgeous 1 1/2 hour drive through the picturesque Gallatin Canyon to Yellowstone National Park or through Paradise Valley to the Park's north entrance. Minutes to the mountains. Perfect for weddings, family gatherings and quiet getaways.